The internship report has been prepared on “Foreign Exchange Operations of EXIM Bank Limited”. Bank has a significant role in the economic development of the country. In order to developing the national economy, banks keep in mind going for lending, maintaining safety, liquidity & profitability. The 1st chapter contains the Background, objectives, Rational, limitations etc. of the study & 2nd chapter described Organizational profile of EXIM Bank in Bangladesh. On the other hand the 3rd chapter deals with Body of the Report; the 4th chapter contains Findings of the study, the 5th chapter is Recommendations. The 6th chapter discussed with the conclusion part of the report. They intend to ensure the trust and confidence of the customers through focused customer orientation, quality of service and state-of the art technology, transparency in dealing and adopting the best practices of Corporate Governance, achieving excellence in all the endeavors to create value for all the stakeholders. The significant challenge posed before them is the maintenance of the quality of business simultaneously with its information and business consolidation processes. This report is prepared based on the: topic “Overall Banking System and Performance Analysis of EXIM Bank. Due to this practice the Foreign Exchange department of EXIM Bank has been growing to provide a good participation in the profitability of the Bank. Basically, this report is highlighted on overview of EXIM Bank Ltd, Structure, Analysis, Present status, Performance of EXIM Bank, Foreign Exchange, Own Experience Recommendation and conclusion. The word “bank” refers to the financial institution that deals with money transaction. Commercial banks are the primary contributors of the economy of this country. On one hand they are borrowing money from the locals and on the other hand lending the same to the locals as loans and advances. So the people and the government are very much dependent on banks. Moreover, banks are profit earning concerns, as they collect deposits at the lowest possible cost and provide loans and advances at higher rate. The difference between two is the profit for the bank. This report basically deals with the Foreign Exchange of Export Import Bank of Bangladesh Ltd. covering the areas like General Banking, Loan and Advance, Foreign remittance, Financial Performance, Online Banking, etc. Official records and observing practical work. Published Booklet of the Bank. Website of EXIM Bank Ltd.
Three months time for internship is a pretty short time to acquire in depth knowledge about all the departments of EXIM Bank Limited. I can’t manage the internship on the due time, but I need to submit the report on the due date. It’s creating a big pressure on my repot making. EXIM Bank is an Islamic bank for that reason I face some problems to understand their products & facilities they provide. Because some of the rules of the Islamic banking are deferent from the general banking rules. Since I was confined by a specific topic and should work on the topic related department (foreign exchange) but some time I need to worked in different department so it is not possible to learn hundred percent on that topic. The department people always remain busy due to lack of supporting employees so they could not dedicate their full efforts. This Bashundhara roar Branch is not authorized dealer for processing L/C. They can do some documents processing works for running L/C and they also have no authorized power of Govt. for payment of the L/C. But they can open L/C and doing their process through Motijheel branch. General Banking Department is a key point of all banking activities. It is the steerage point for all kind of transaction of foreign exchange department and itself. It usually performs a lot of important banking activities. It is the introductory department of the bank to its customers. The Main Branch of EXIM Bank Limited has all the required sections of general banking and these sections are run by manpower with high quality banking knowledge. This is a letter from the introduction who is a valid customer of the branch or the other branch and maintaining any kind of account. The process of introducing a new customer can be done on the form itself. There is a space in the application from where the introducer will write his/her account number, address and he/she will sign as his/her specified signature. The person who wants to open an account can mention minimum one and maximum three nominees. The application will give a declaration in the space given on the account form starting the name, relation, age and percentage of share (if more than one). The account holder can charge the nomination at any time and it would be only valid after the death of the accountholder. The a applicant will sign on the application and he/she will be provided with a extra paper where he/she will give three signature which he/she has to maintain all through till the time he/she maintains the account. It is always a common practice among bankers to allow a new customer to open an account only in cash. If any account holder wants his/her account to be operated by somebody else he/she will provide the banker in writing stating about the operator. The banker should verify some of important documents lime memorandum of association, Article of Association. Bylaws cope etc. In other cases they verification of certain other documents likes trust deed probate, letter of administration etc. may be necessary. The customer is applied with a pay in slip book to use for depositing cash or cheque or bill into account. The customer is also supplier with a cheque book for drawing money as and when the customer wishes which normally contains 10, 20 or 50 blank forms. Two copy passport size photograph attested by the introducer. One copy passport size photograph of nominee attested by the applicant. Citizenship certificate provided by the ward Commissioner/up Chairman/First 4 pages photocopy of passport. Memorandum of Article of Association duly certified by Chairman/Secretary. Certificate of commencement of business. Photocopy of Registration certificate by Chairman/Secretary. Copy Constitution/Bylaws of the Club/society/association duly certified by Chairman/ Secretary. Certified copy also is verified with the original by the concerned Bank officials under seal and signature. Resolution of the Managing Committee/Executive Committee authorizing opening the A/C with the Bank naming persons who will operate the A/C. List of Members of Managing Committee/Executive Committee certificate by Chairman/Secretary. These are deposit which is made with the bank for a fixed period specified in advance, the bank need not maintain cash receive against deposits and therefore, bank gives high rate of interest on such deposits. A FDR is issued to the depositor acknowledging receipt of the sum of money mentioned therein. It also contains the rate of interest and the date on which the deposit will fall due for payment. There is no cheque book issued on FDR. There is a prescribe form opening FDR. No introducer and photograph is required for opening this A/C. A minimum amount as determined by the Head office is required to open such A/C. This type of deposit is not directly opened for the public. No application is required to open this type of a/c. Any amount which cannot be debt or posted under any account head that amount is kept under the head of sundry deposit account. There are some a/c which are not transacted very frequent and sometime the customer encase their money through passbook but they forget to mention their a/c or and sometime people deposit some amount in an a/c. Specially designed foreign currency account for resident Bangladeshis offers wonderful opportunity to build a deposit base in foreign currency. Helps make for overseas commitments and dues like credit card bills, traveling, expense, recreation tours etc. This service is offered in currencies like USD, GBP and Yen. The interest that SCB offers is very competitive, but the deposit can only be made in foreign currency. The withdrawals can only be made in local currency. It offers fund Remittance in LCY and FCY to any place in and out of the country. An important duty of the cash section is to maintain a stable balance of account with Bangladesh Bank. If the statutory reserve of the bank becomes downward from the margin then the bank has to pay a high rate of interest for the deficit amount and also get an interest for excess money. So that for showing good performance cash section has to deal a very sensitive and responsible job for managing the balance of account with Bangladesh Bank. To avoid the shortage of liquidity a bank also has to open short notice accounts with other banks. For those deposits the bank gets a certain rate of interest. Local Draft is an instrument containing an order of the issuing branch upon another branch known as Drawer branch for payment of a certain sum of money to the payee or to his order on demand by the beneficiary presenting the draft itself. Against Cash-The customer is asked to complete DD application form which treated as credit voucher for EXIM Bank Limited General Account. The voucher given to the customer to deposit cash with the cash department. The cash department receives and delivers the vouchers to the remittance department. Against Cheque – The cheque is sent to concerned department for posting after the cheque is passed. Against a Letter of Instruction – The letter is sent to deposit department for verification of signatures. The letter is attached with the debit voucher. After receipt of Advice – On receipt of advice from issuing branched, the advices are recorded on draft payable register as DD. In Cash-The draft is received at the cash counter if it is not crossed and sent to remittance department. The date, amount in words and figures, branch drawn upon and signatures on the draft is checked. It is checked that the DD is tested and the test is agreed. The payee of the DD is identified by a constituent/respectable a gentlemen acceptable to the branch and his signature is verified by Deposit department. Particulars of the draft are verified from the register. Payment date is noted in the register. The payment of DD also gives through clearing/transfer delivery/cash transfer. It is an order from the issuing branch to the Drawer Bank/Branch for payment Application of a certain sum of money to the beneficiary. Telex sends the payment instruction and funds are paid to the beneficiary through his account maintained with the Drawer branch or through a pay order if no a/c is maintained with the branch. This service is near about end position because of entering new networking banking facility. Now any client who has an account in EXIM Bank Limited of its any branch gets the facility to debit or credit his account by any branch of EXIM Bank Limited from any where in the 35 online branches of EXIM Bank Limited. For issuing a pay order the client is to submit an Application to the Remittance Department in the prescribed form (in triplicate) properly filled up and duly signed by applicant. The processing of the pay order Application form, deposit of cash/cheque at the Teller’s counter and finally issuing an order etc. are similar to those of processing of L.D. Application. A pay slip issued for the payment of expenditures or refund on behalf of the bank. A pay slip is issued by credited the bill payable account. A pay slip is paid in cash or through clearing/transfer delivery/cash transfer. DD Payable, TT payable, PO issued, DD paid without advice accounts should be balanced on monthly basis. The balances are agreed with the figures of concerned subsidiary accounts. In case of losing or not receiving by the beneficiary the instrument issuing bank can issue of duplicate Pay-Order, demand Draft. If any reason the issued pay Order or demand Draft is cancelled the branch cancelled the instrument and kept with the debit voucher for pay order and for DD no draft should be allowed to be cancelled without obtaining prior conformation from the draw branch. c) Batch posting and checking as and when required. b) Paying bank is other branches of EXIM Bank Limited situated inside DhakaCity. Bill department of Main branch, EXIM Bank Limited sends outward bills for collection (OBC) to the concerned paying bank to get Inter Bank Credit Advice (IBCA) from paying Bank. If the paying bank dishonors the instrument, the same is return to Main branch. Bill department sends transfer delivery item to other branches of same bank, situated inside DhakaCity, upon receiving IBCA customer’s a/c is credited. Credit is important for any financial institution as it generates profit and gear up economic activities of the country. In other words, credit business and it is an input in the production process of country. Once credit inherent risk, the use of credit has to be planned in a way reap the benefits to everyone concerned with credit portfolio. There are Macro and Micro aspects of credit planning. The Macro aspect of credit planning is done by Bangladesh Bank while the Micro aspect is done by the Commercial Banks. To meet the requirements of the economy by taking into account the overall volume of credit expansion. To increase in the money supply (Currency outside the banks + Demand deposit + Time deposit). The credit planning has to be prepared at the Micro level by the individual bank. That means, the banks are to formulate their own audit planning at the Micro Level in the context of available funds for lending and as per guidelines of Bangladesh bank. Credit provides vital linkage among the government sector, Private sectors and Foreign Sectors. Credit is a determinant of money creation and hence of production consumption and national income. Credit influences import and capital movements. Credit provides financing for imports, working capital and investment. Nonetheless, the focal point in the preparation of credit planning is a careful assessment of the available resources for lending at the disposal of a Bank. The Bank should put their endeavors to finance credit expansion out of non-inflationary sources. Foreign Exchange Regulation (PER) Act, 1947 (Act No. VH of 1947) enacted on 11th March, 1947 in the then British India provides the legal basis for regulating certain payments, dealings in foreign exchange and securities and the import and export of currency and bullion. This Act was first adapted in Pakistan and then, in Bangladesh. The Act is reproduced. Bangladesh Bank is responsible for administration of regulations under the Act. Bangladesh Bank’s offices and their jurisdictions provide a list. Basic regulations under the PER Act are issued by the Government as well as by the Bangladesh Bank in the form of Notifications, which are published in the Bangladesh Gazette. Notifications issued by the Bangladesh Government and the erstwhile Government of Pakistan and the Bangladesh Bank and the erstwhile State Bank of Pakistan is reproduced. Directions having general application are issued by the Bangladesh Bank in the form of notifications, foreign exchange circulars and circular letters. The major objectives of the act are to conserve the limited foreign exchange resources and to ensure that the available foreign exchange is utilized only for priority requirements the economic and financial interests of Bangladesh and the maintenance of the proper accounting of foreign exchange receipt and payments. Bangladesh Bank is responsible for administration of regulations under the Act. Bangladesh Bank reviews the exchange control measures from time to time and revises the instructions on policy and measures, whenever necessary through different Foreign Exchange (FE) circulars. Bangladesh Bank (BB) means the Bangladesh Bank established under the Bangladesh Bank Order, 1972 (President’s Order No. 127 of 1972). Taka means the Bangladesh Taka unless otherwise specified. Dollar:Unless otherwise in ipublication shall mean the US dollar. This Act regulates the exchange of foreign currencies, remittances and opening of foreign currency account under various classifications. According to this law, FC Accounts can be opened without initial deposits, and bears no interest and both the account holder and the nominee can operate the account. The entire remittance from adored is free from income tax. It also states the documents required for the opening of such account. Foreign exchange means foreign currency and includes all deposits, credits and balance of payable in foreign currency as well as Draft, Traveler’s cheques, Letter of credit, Bills of Exchange drawn in local currency but payable in foreign currency. Foreign exchange means foreign currency and includes any instrument drawn, accepted, made or issued under clause 13 of section 16 of the Bangladesh bank Order, 1972 all deposits and credits and balances, Travelers cheques, Letter of credit and bills of exchange, expressed or drawn in Bangladesh currency but payable in any foreign currency. — Bangladesh bank order 1972. The mechanism through which payments are effected between two countries having different currency systems is termed as foreign exchange. It is related with the exchange method & mechanism through which the payments in connection with international trade are transacted. System or process of converting one national currency into another and of transferring money from one country into another. —Dr. Paul Einzig. A revocable credit is a credit which can be amended or canceled by the issuing bank at any time without prior notice to the seller. An irrevocable credit constitutes a definite undertaking of the issuing bank (since it cannot be canceled without the agreement of all parties thereto). Provided that the stipulated documents are presented and the terms and conditions are satisfied by the seller. An irrevocable credit can be either confirmed or unconfirmed depending on the desire of the desire of the seller. This sort of credit is always preferred to revocable letter or credit. The revolving credit is one, which provides for resorting the credit to the original amount after it has been utilized. How much time it will be taking place must be specifically mentioned in the credit. The revolving credit may be either cumulative or non-cumulative. A transferable credit is one that can be transferred by the original beneficiary in full or in part to one or more subsequent beneficiaries. Such credit can be transferred once only. Fractions of a transferable credit can be transferred separately, provided partial shipments are not prohibited. The back to back credit is a new credit opened on the basis of an original credit in favor or another beneficiary. Under back to back concept, the seller as the beneficiary of the first credit offers it as security to the advising bank for the issuance of the second credit. The beneficiary of the back to back to back credit may be located inside or the out side the original beneficiary’s country. The anticipatory credits make provision for pre-shipment payment to the beneficiary in anticipation of his effecting the shipment as per L/C conditions. Import oriented foreign exchange activities. There is also foreign Remittance operation that carries out by the foreign exchange department. ² Certificate of Registration, Memorandum and Articles of Association in case of Limited Company. After scrutinizing and verifying, the nominated Bank will forward the same to the respective CCI&E office with forwarding schedule in duplicate through Banks representative. CCI&E then issue Import Registration Certificate to the Applicant. Name and address of the Authorized dealers. LCA form no. Date and value in Taka. Indenter’s registration number with CCI & E and Bangladesh Bank. Registration number of the applicant with CCI & E.
The buyer and the seller conclude a sale contract provided for payment by documentary credit. The buyer instructs his Bank (the issuing Bank) to issue a credit in favor of the seller / Exporter / Beneficiary. The Issuing Bank then send message to another Bank (Advising Bank /Confirming Bank) usually situated in the country of seller, advice or confirms the Credit Issue. The Advising / confirming Bank then informs the seller through his Bank that the Credit has been issued. As soon as the seller receives the credit, if the credits satisfy him the he can reply that, he can meet its terms and conditions, he is in position to load the goods and dispatch them. The seller then sends the documents evidencing the shipment to the „! Bank where the Credit is available (nominated Bank). This can be the ^ issuing Bank or Confirming Bank; Bank named in the Credit as the paying, accepting and Negotiating Bank. The Bank then checks the documents against the credit. If the documents meet the requirements of the credit, the Bank then pay, accept or negotiate according to the terms of credit. In the case of credit available by negotiation, Issuing Bank will negotiate with recourse. The Bank, if other then the issuing bank, sends the documents to the issuing Bank. The issuing Bank checks the document and if they found that the document has meet the credit requirements, they realize to the buyer upon payment of the amount due or other terms agreed between him and the issuing Bank. A bank account in the bank. LCA (Letter of credit application) form duly attested. One set of IMP form. Insurance cover note with money receipts. A credit officer scrutinizes this application and accordingly prepares a proposal (CLP) and forwards it to the Head office Credit Committee (HOCC). The committee, if satisfied, sanctions the limits and returns back to the branch. Thus the importer is entitled for the limit. Brief specification of commodities, price, and quantity, indent no, etc. Insurance cover note/Policy number, date, amount. Weather the partial shipment is allowed or not. Weather the Trans shipment is allowed or not. Other terms and condition if any. Name and the address of the importer. IRC No. and year of renewal. Amount of L/C applied for. Description of items/to is imported. Stamp and signature of the importer with seal. The terms and condition of the L/C must be complied with UCPDC 500 and Exchange control & import trade regulation. Eligibility of goods to be imported. The L/C must not be opened in favoring of the importer. Survey reports or certificate in case of machinery. Carrying vessel is not of Israel or Serbia- Montenegro. On scrutiny, if the application is found fit then the L/C is opened and particulars of the same are recorded in the L/C register. Then the transmission of L/C is done through tested Telex or Fax to advise the L/C to beneficiary. If the amount exceeds US$ 10,000 the bank takes the credit report of the beneficiary (CIB report) to ensure the worthiness of the supplying goods. Parties involved in L/C, particularly the seller and the buyer cannot always satisfy the terms and conditions in full as expected due to some obvious and genuine reasons. In such a situation, the Credit should be amended. The bank transmits the amendment by tested telex to the advising bank. In case of revocable credit, it can be amended or cancelled by the issuing bank at any moment and without prior notice to the beneficiary. But incase of irrevocable letter of credit, it neither be amended nor cancelled without the agreement of issuing bank, the confirming bank (if any) and the beneficiary. If the L/C is amended, service charge and telex charge are debited from the party account accordingly. Export Import Bank of Bangladesh Limited (EXIM) officials check weather these documents has any discrepancy or not. Here discrepancy means the dissimilarity of any documents with the terms and conditions of L/C. On security if it is found that, the documents drawn are in order EXIM, lodges the documents in PAD and few vouchers are passed. Endorsement in the B/E and transport document i.e. B/L AWB, TR etc. At the end of the total procedure, taking the retirement of Import Bills/Clearing Certificate from the Bank, the Importer will clear the goods from the port through the Clearing Agent and Forwarding Agent. On the other hand, completing the above all steps in the issuing Bank will prepare “Foreign Exchange Transaction Schedule” and send one copy to international division of Head Office and another one copy to recommendation. Date of payment- Usually payment is made within seven days after the documents have been received. If the payment is become differed, the negotiating bank may claim interest for making delay. Preparing sale memo- a sale memo is made at B.C rate to the customer. As the TT & O.D rate is paid to the ID, the difference between these two rates is exchange trading. Finally an inter branch exchange trading credit advice is sent to ID. Requisition for foreign currency- for arranging necessary fund for payment a requisition is sent to the ID. Transmission of telex- a telex is transmitted to the correspondent bank ensuring the payment is being made. If the importer does not come to negotiate the shipping documents from the issuing bank then it creates LIM through the bank clears the goods from the port and holds the goods in its warehouse beside the above as soon as the imported goods come to the port the party may fall into financial crisis and request the bank to clear the goods from the port making payment to the exporter, in this case the party later may take the goods partly or fully from the banks by making required payment (if he/she takes the goods time to time payment will be adjusted simultaneously). By the term Export, we mean that carrying of anything from one country to another. On the other hand Banker’s define Export as sending of visible things outside the country for dale. Export Trade plays a vital role in the development process of an Economy. With the Export earning, we meet our Import Bills. The export trade of the country is regulated by the Import and Export (Control) Act, 1950. There are some formalities, which an exporter has to fulfill before and after shipment of goods. No exporter is allowed to export any commodity from Bangladesh unless he/she is registered with Chief Controller of Export & Import (CCI&E) and holds valid Export Registration Certificate (ERC). The ERC is required to be renewed every year and this task is generally done by the bank. As per instruction by Bangladesh Bank, the bank has to report respective department of Bangladesh bank by mentioning latest payment. ► Copy of rent receipt of the business premises. On receipt of the above documents to the office of CCI&E, the applicant is required to deposit required registration fee to the treasury office and receipted Challan should be sent to CCI&E office for enabling there to issue ERC. Every year registered exporters are to make payment of prescribed fee towards renewal of ERC. All Export of which the requirements of declaration vide para-1 of chapter XXI of Exchange Control Manual of Bangladesh Bank applies must be declared on the EXP forms by the customer, now issued by the Authorized Dealers. Motijheel Branch of EXIM Bank is an Authorized Dealer, which supply EXP form to the exporters. From Custom Authority to Bangladesh Bank after shipment goods. From Negotiating Bank to Bangladesh Bank after Negotiation. From Negotiating Bank to Bangladesh Bank after realization of the proceeds of the Export Bill. Retained by the Negotiating Bank as Office Copy. Documents are negotiated within the L/C validity. If credit expires on a recognized bank holiday its life is automatically valid onto the next working day. This is to be stipulated on the documentary schedule. Documents value does not exceed the L/C value. It must be marked as drawn under L/C No, date, issued by, bank. Invoice value must not be less than the value of declared in EXP form. After satisfaction on the documents the banker will issue EXP form to the exporter. Now exporter will be getting shipping and other documents from the shipment procedure. Exporter should submit all these documents along with letter of indemnity to his bank for negotiation. After the shipment of goods, the exporter submits export documents to authorized dealer for negotiation of the same. Here authorized dealer is exporter’s bank. The banker is to ascertain that documents are strictly as per the terms of L/C before negotiation of the export bill; the banker should scrutinize and examine each and every document with great care & must be go through the original L/C in the time of scrutiny. Any kind of lacking can be classified as major or minor. There may be some discrepancies which are removable. If the discrepancies are minor, the export bill against submission of indemnity. Documents with discrepancy should be negotiated. With the permission of the exporter, such documents are to be sent on collection. All the documents are found strictly as per terms and conditions of L/C i.e. if the documents are free from discrepancies or if the discrepancies are covered by Indemnity of the party, bank has to negotiate the Export Bill for negotiation of cash export bills, the O.D buying rate prevailing on the date of negotiation is applied conversion of the foreign currency into Bangladesh currency. All transactions are reported through F.E.T sent daily to the international division Head Office, Dhaka. On receipt of the F.E.T the head office credits the FBNA Account by debit the balance with foreign Banks abroad Account after the process of the bill is realized. After negotiation of the export bills, the documents are to be sent abroad (normally to the L/C Issuing Bank) as per the instructions of L/C & claim reimbursement of the proceeds from the bank as mentioned in the L/C. If the Bank failed to indemnify any discrepancy in documents prepared by the Exporter and if bank paid the demanded amount, bank will face huge loss. At that time, the Negotiating Bank personally try to contact with party and if they agree to deliver the required documents then the bank may get rid out from huge loss otherwise not. So, Banker-Customer relationship is very important in this regard. Bank need to be very careful at the time of negotiation. At first, through negotiation bank will earn a certain commission from the party without involving any fund. Bank will earn US$ from reimbursing bank from the foreign and bank is also earning commission from that. If the payment make overdue, on that time branch of the concerned bank will earn interest from that amount. It is a secondary letter of credit opened by the advising bank in favor of a domestic/foreign supplier on behalf of the beneficiary original foreign L/C. As the original letter of credit of bank by import letter, it is called Back-to-Back L/C. The second L/C is opened on the strength of the original L/C for a smaller amount. When the B-To-B L/C is opened in a foreign country supplier it is called B-To-B L/C (Foreign). It is generally payable within 120 days at site. When the Back-to-Back L/C is opened for local purchase of materials, it is called Back-to-Back L/C (Local). It is generally payable within 90 days at site. EOF provided by the ADB to Bangladesh Bank for export promotion of Third-World-Country like Bangladesh. When the bank is not in a position to support the amount of B-to-B L/C then they apply for loans to the Bangladesh Bank for B-To-B (EOF). Deferred payment is made in case of BTB L/C as 60, 90,120, 180 date of maturity period. Payments will be given after realizing export proceeds from the L/C issuing bank from the abroad. To fill-up the E-2/P-2 schedule of S-l category. The whole month import amount, quantity, goods category, country, currency, etc. all are mentioned. Respective IMP forms are attached with the schedule to fill E-3/P-3 for all invisible payment. Duplicate IMP is skipped with the bank along with the bill of entry. Exporter can collect the bill through negotiating bank on the basis of collection. Exporter in this case, will submit all the documents to the negotiating bank for collection of bill from importer. The exporter will get money only when the issuing bank gives payment. In this connection bank will scrutinize all the documents as per terms and conditions mentioned in L/C. When exporter sale all the export documents to the negotiating bank is known as Foreign Documentary Bill Purchase (FDBP). In this case, the exporter will submit all the documents to the bank. The bank gives 60-80% amount to the exporter against total L/C value. Scrutinizing documents as per L/C terms and conditions. Forward the documents to L/C opening bank. L/C issuing bank give acceptance and forward acceptance letter. Payment given to the party by collection basis or by purchasing documents. Secured Overdraft is one kind of credit facility enjoying by the exporter from the export section. It is generally given to meet the back-to-back L/C claim. Sometimes it is given to the exporter by force for meet the back-to-back L/C claim due to delay of Master L/C payment. It is one kind of credit sanctioned by the export department to meet the exported goods shipment timely. Packing credit is granted to pay salary, wage& other related factory expenses of processing the imported products. The bank will give the facility after deduction of back-to-back. Fund transfer from one country to another country goes through a process which is known as remitting process. Suppose a local bank has 200 domestic branches and has the corresponding relationship with a foreign bank say-“X”, maintaining “Nostro Account” in US$ with the bank. Bangladeshi expatriates are sending foreign remittance to their local beneficiary, through that account. Now, when the Bangladeshi expatriates through other banks of different countries remit the fund to their “Nostro Account” with “X”, then the local bank’s Head office international division will receive telex message and the remittance section will record the advice and generate the advice letter to the respective branch of the bank. The branch will first decode the test, verify signature and check the account number and name of the beneficiary. After full satisfaction, the branch transfers the amount to the account of the beneficiary and intimates the beneficiary accordingly. But sometimes complexity arises, if the respective local bank has no branch where the beneficiary maintains his account. Then the local bank has to take help of a third bank who has branch there. Export Import Bank of Bangladesh Limited (EXIM) Bank is the Authorized Dealer (AD) to deal in foreign exchange business, as an authorized dealer, bank must provide some services to the clients regarding foreign exchange and this department provides the service of remitting foreign currencies from one country to another country. In the process of providing this remittance service it sells and buys foreign currency, the conversation of one currency into another takes place at an agreed rate of exchange , which than Banker quote one for buying and another for selling. SWOT Analysis is the detailed study of an organization’s exposure and potential in perspective of its strength, weakness, opportunity and threat. This facilitates the organization to make their existing line of performance and also foresee the future to improve their performance in comparison to their competitors. As though this tool, an organization can also study its current position, it can also be considered as an important tool for making changes in the strategic management of the Foreign Exchange activities. EXIM Bank Limited has already established a favorable reputation in the banking industry of the country. It is one of the leading private sector commercial banks in Bangladesh. This bank has already displayed its strengths in foreign exchange business. Compare to other competitor banks and financial organization it enjoys strong position in foreign exchange business. Foreign Exchange service charges like – commission, postage fees etc. are reasonable compare to other leading private commercial banks. As our economy largely depends on import, EXIM bank mainly performs import business services to its client but they take special consideration over export finance as well as foreign remittance service. And these activates play an effective role to well socio-economic turnover of our country. Monitoring and supervision activities in case of Foreign Exchange operation are stunning and matured. Keep strong documentation in foreign exchange business, for this EXIM bank and its client feel more secured. “Clients are the partners” the bank believes that. Any suggestions from clients are heartily acceptable. Strengths in managerial skills, cohesion and avoiding bureaucracy help the bank in creating valuable services to their customers. Foreign Exchange business service charges are little bit higher than some other commercial private bank which indicates that there is a possibility of loosing clients. EXIM Bank mainly focuses on import financing compare to export financing and foreign remittance. As a result, it may lose confidence of certain portion of its customers’ who are dealing with foreign trade. EXIM Bank is too rigid in case of document preparation, lodgment and retirement compare to other banks which sometimes dissatisfied clients. Corresponding network which is very essential in foreign trade is not so enlarge. In order to achieve higher growth, EXIM Bank Limited has to concentrate not only one section of foreign trade business but also give simultaneous concentration over all the sections. Foreign Exchange business (export, import & remittance) has bright future in our country. Export, Import & Remittance flow of Bangladesh growth is increasing which suggests that there is an opportunity to flourish the foreign exchange business market in near future. 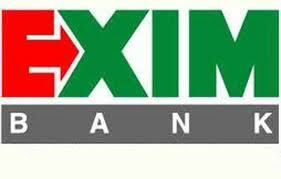 EXIM bank has to take that chance by preparing up to date strategic plan. Foreign Exchange Business hugely depends on political stability of a country. After 1/11, in Bangladesh there is a good situation exist for foreign trade and as banks are important player in foreign trade, it has good opportunity to increase their foreign exchange business. For getting higher market share in foreign exchange business, EXIM Bank has to be more efficient and swift in service. All sustain multinational and private commercial banks force enormous threats to EXIM Bank Limited. If that happens the intensity of competition will rise further and bank has to develop strategies to compete against foreign banks competition. The rapid expansion of one of the biggest Islami Shariah based bank named Islami Bank Bangladesh Limited (IBBL) is referred to as major threats for EXIM Bank. IBBL can provide faster and smooth services to its clients because of their network either in home or abroad. Foreign Bank like- Standard Chartered & HSBC has extensive network worldwide which is an integral part in foreign trade. Both banks enjoy this competitive advantage. Government has recently decided to convert some government bank to public limited company which will increase the efficiency level of the management and its employees. These banks have strong branch network and foreign correspondents which help them to emerge as a major threat for private commercial bank like EXIM Bank. EXIM Bank Limited introduced many new services. Through their well-built network they have been able to grab a significant share of the market. But recently due to some government regulation and intense competition from some new players in the market EXIM Bank Ltd. could not maintain the same growth as usual. So, as a whole, EXIM is in the cash cow quadrant in the Boston Box. Ratio analysis is a relatively simple yet powerful tool in diagnosing the financial condition of an organization. No single ratio could begin to meet the burden imposed be different needs. Thus five major categories of financial ratios have been developed, each designed to address important aspect of the firm’s financial condition. 1. Liquidity ratio: Such as current ratio measure the quality and adequacy of current assets to meet current liabilities as they come due. 2. Activity ratio: Such as fixed turnover, total assets turnover measure the efficiency with which the firm is using its resources. 3. Financial leverage Ratio: SUCH AS Debt-ratio, Debt-equity ratio measure a firm’s ability to service its debt. 4. Profitability Ratio: Such as gross profit Margin, Operating profit margin, return on total asset, etc. measure management effectiveness as indicated by the return on sales, assets and owner’s equity. Earnings per Share of EXIM BANK fluctuate in different year. Having some problems in Foreign Exchange activities of EXIM Bank, I would like to propose some suggestions to overcome the problems relating the abovementioned topic which might be helped to improve the performance of EXIM Bank regarding foreign exchange activities. The bank has a provision for internship program, but it is not well organized. Although the officials are very careful and cooperative with the interns, the authority should be more structured. The Bank can really use the internship program to their advantage by rearranging the whole procedure. The present philosophy is such they are helping the students but it should be utilized more intelligently as the foreign or multinational organizations do. Now a day’s world is going very fast. Now most of the banks provide online customer service system. So in order to compete in the world market they should adopt online banking system. IT facilities of EXIM Bank are not satisfactory good. Computer system which owned by branch are not up to date, not sufficient and moreover some of computer system do not work properly when they are needed. There is no sufficient and high bandwidth Internet connection available in the bank. So, EXIM Bank should develop Information technology to ensure better service for the customer and support communication with outside. Up to date banking software and machinery like- Internet should be used in regular basis to give better service to the customers. Delegation of authority should be made enough to make the speed of providing service fast. Banking business in 21st century is a challenging business. The reward are modest, the penalties for bad looking are enormous. Banks are large monetary institutions, have played important role for the welfare of the economy more than any other financial institutions. Foreign Exchange Operation of Export Import Bank of Bangladesh Limited (EXIM) apart from the conventional procedures makes the bank capable to be a good bank in Bangladesh. Growth of the bank is very dynamic. It has been able to achieve appreciable progress in all areas of its operation over the years. EXIM Bank Limited is playing a vital role in financing import and exports of the country. Without Bank’s co-operation, it is not possible to run any business or production activity in this age. Exports and import need finance in various stages of their activities. There are lots of risks involved in foreign business. So, EXIM Bank Limited has to clearly justify the customers from a neutral point and gather the current information about the market. I have done my internship at Bashundhara Road Branch of EXIM Bank and strategically Bashundhara Road is very important place for foreign exchange business. This branch has done huge foreign exchange work for EXIM bank. Bangladesh Economic Review 2008, Economic Advisor’s wing, Finance Division Ministry of Finance. Government of the people’s republic of Bangladesh.